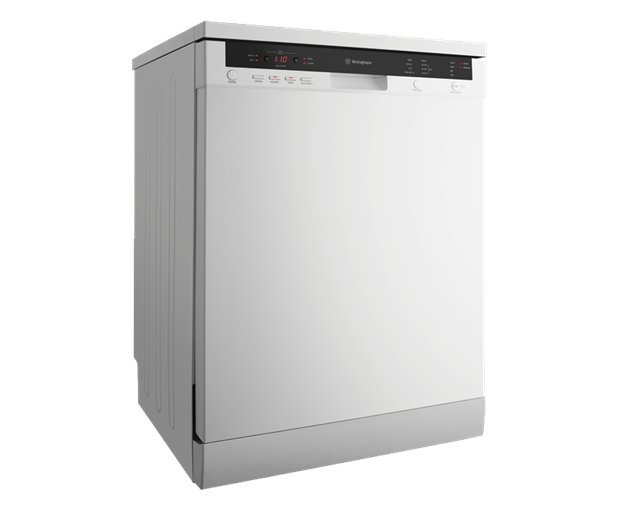 60cm white freestanding dishwasher is rated 3.9 out of 5 by 12. 60cm white freestanding dishwasher, 15 place settings, 4.5 water stars, 8 wash programs, cutlery tray, water safety system, hygiene option and delay end. Rated 1 out of 5 by Rob1 from Disappointed Very disappointed with top cup/glasses tray. When set low down you cannot put dinner plates into the bottom basket. The wine glass supports are poor. The bottom tray has limitations with the placement of dishes because of the side drying unit which catches the dishes when tray is pulled out. Washing and drying features are fine. I spent quite a bit of time deciding which machine held more cups etc but didnt take into account the height of a dinner plate as I thought manufacturer would have contemplated this. Rated 5 out of 5 by Wendy124 from Great addition to the kitchen! Purchased the 6608w 1 month ago to replace a very old machine that was long unused due to its loud noise and poor washing results. I am so, so happy with this one. It is amazingly quiet in our open plan kitchen/family room. I use the half load rinse option after breakfast and lunch and do one full wash each evening. Some days just a half load wash at night. Everything comes out sparkling. 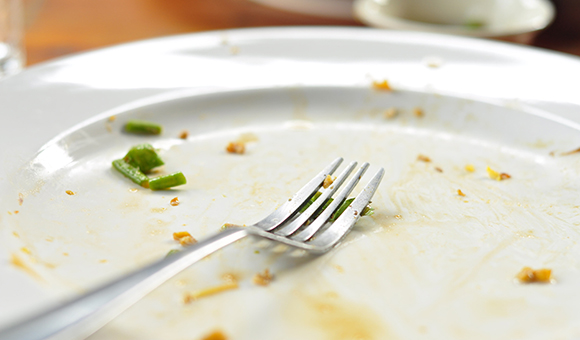 Coffee and tea stains are removed and no problem with any food residue. 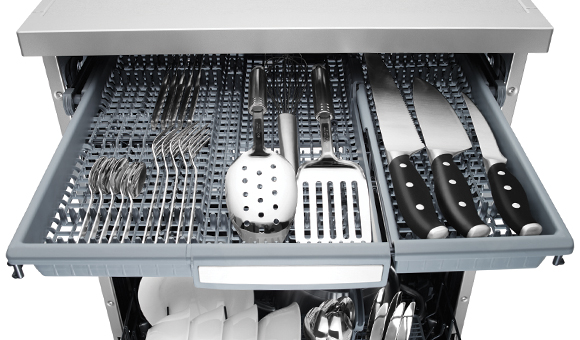 The upper cutlery drawer is a real bonus and frees up more space on the lower shelf. I am using powder and rinse aid rather than tablets as this is more economic with half loads. The drying is excellent. This is a fabulous, easy to use dishwasher. You will not regret buying it. Rated 5 out of 5 by chadish from Great value for money! We've had this dishwasher for 3 months now and it's performing brilliantly. The washing and drying results are excellent. I particularly like the cutlery draw as there's no bending to load or unload it! It also has a removable section to allow for tall glasses in the rack below. I really like the door which is counter-balanced, so when open, it stays in whatever position you leave it. The display is well laid out and shows the time remaining and all the options you have set. 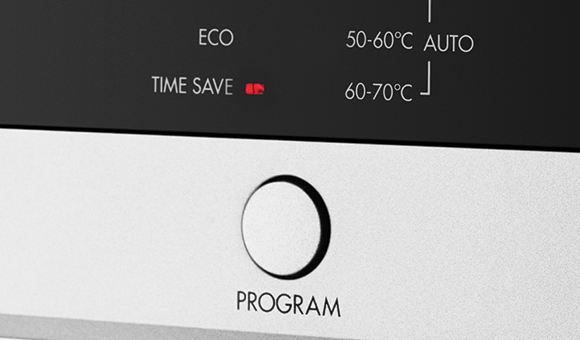 My favourite cycle is the "Heavy" setting which does a pre-wash, main wash, 3 rinses and a 30 minute fan drying (with the extra rinse and extended drying options turned on). This dishwasher can also take tablets in the detergent dispenser, unlike some other brands where the tablet has to be placed in the bottom of the dishwasher! An impressive range of features and options for the price! Rated 5 out of 5 by Linda67 from All the features without the price tag. I purchased this dishwasher 6 months ago and have been happy with my choice. Much quieter than previous 2 dishwashers and easy to stack. 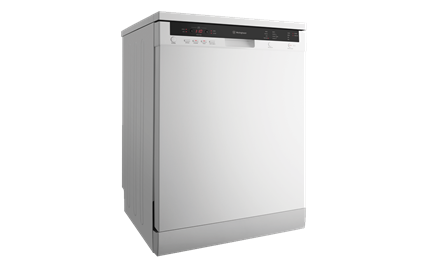 Rated 5 out of 5 by Rob180 from Excelent dishwasher with lots of features Bought this dishwasher just over two months ago and we are very pleased with it. this is a very good dishwasher. I use quality dish washing tablets and rinse aid with the rinse aid setting at the low end No2 setting.I generally use the "Time Save" program setting which does the complete wash in just over 50 minutes and have always had excellent results, although this program setting doesn't have a drying cycle I just open the washer door after the wash is completed and remove the hot dry dishes 5 minutes later. I have tried some of the other programs and also had excellent results with them. This is a large capacity dishwasher as it has an extra top cutlery drawer which needs careful loading but eliminates having to use the cutlery basket thus leaving more room for dishes or pots etc in the bottom drawer. It also has the feature of being able to just wash in the top or bottom half of the dishwasher if you just want to do a quick small wash. Rated 5 out of 5 by melcar from Perfect for what we needed Quiet, set out well for dishes to fit in well, the top tray adjusts to fit bigger plates below. Looks stylish...We have a high gloss white kitchen, and this dishwasher looked great! Can't fault it in anyway.